The World Ozone Day was celebrated in College Seminar hall on 17/09/2018 by Departments of Chemistry, Botany and Zoology.Dr.S.Y.Thimmareddy, Principal, Smt. A.S.M. Degree College, Ballari, was presided over the function. Dr.B.Govindraj, Principal, Smt. A.S.M.P.U. 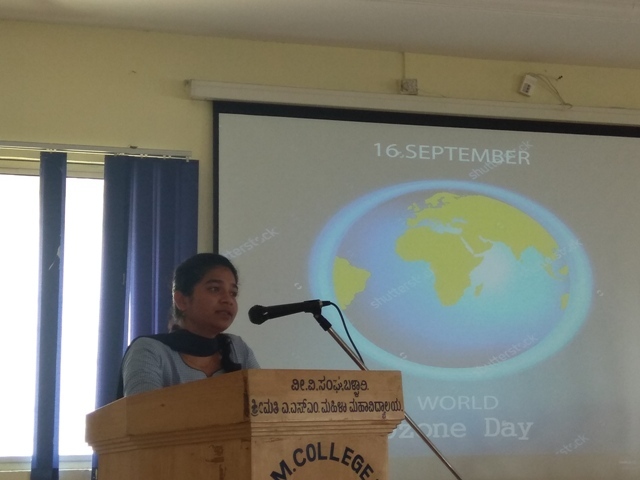 College, Ballari, has given a special talk on “World Ozone Day”. Dr.M.G.Nadagouda, HoD of Botany and Shri D.Satheesh, HoD of Zoology, were organized the programme. A Lecture contest was organized for the students on the occasion. 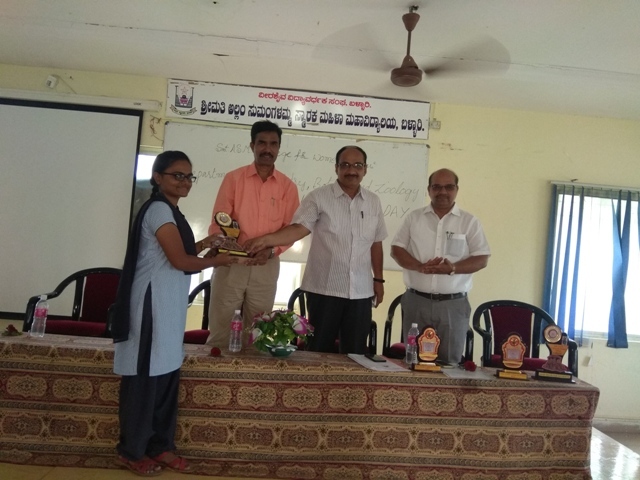 Smt.Bramarakumari, Associate Professor of Chemistry, Dr.Malipatil, Lecturer in Environmental Science, were the judges for the lecture contest.